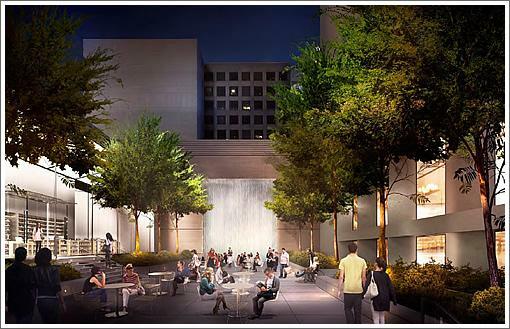 Apple's latest plans for its new Union Square retail store in San Francisco involve a redesigned plaza lined with trees and a waterfall. 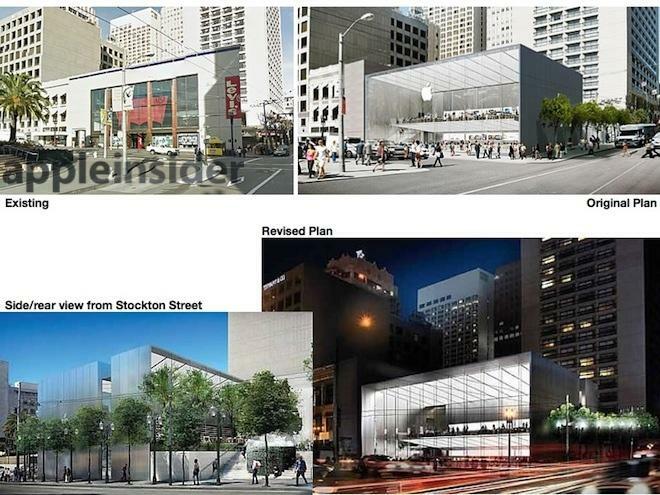 Apple's plans to demolish the former Levi's store on a prominent corner of Union Square and build a new glass-fronted minimalist box in its place were delayed by Planning Commission requests to shift the glass facade a few feet inward from the street and to break up the oppressive 20 foot high wall of steel Apple had intended to erect along Stockton. The company submitted new plans accommodating the requests (above). 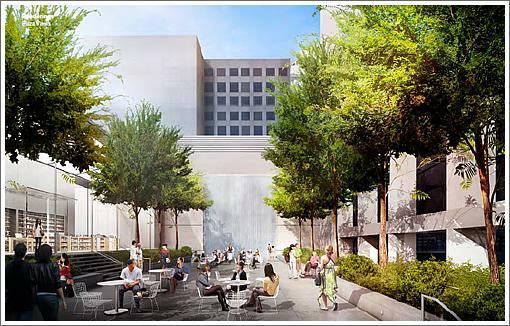 Since then, new renderings published by SocketSite depict changes to the rear plaza, including moving an existing fountain closer to the street and enhancing the currently barren concrete platform with trees, benches and a water feature. The renderings depict what the space would look like during the day and at night, although the amount of sun portrayed reaching the plaza appears optimistic.